Enter a new dimension of recording with the 360° FOCUS Action Cam. You can re-experience your memories in fully interactive Virtual Reality. 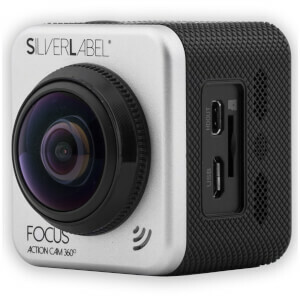 Capture your surroundings in eye catching 180°, 360°, Circular Fisheye and multi screen views. All recorded in dazzling high definition.